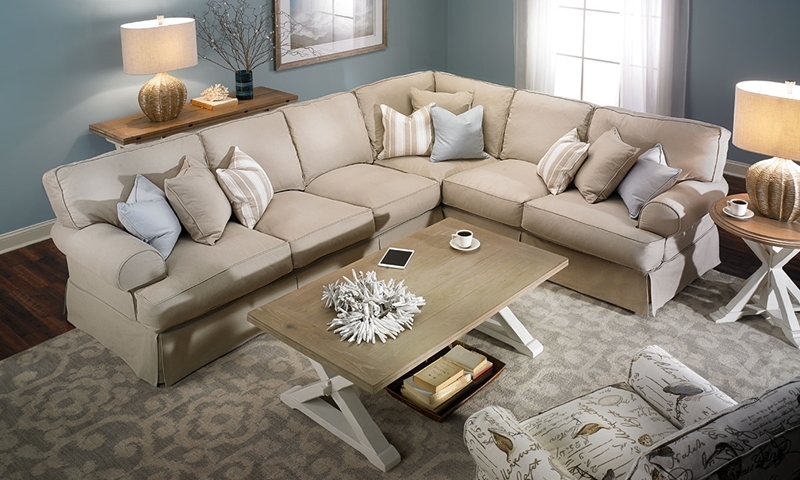 The classic Lawson style gets a fresh, coastal update with this sectional from the Two Lanes collection. Both pieces feature a frame crafted from kiln-dried hardwood, with 8-way hand-tied coils for support and stability. Welting adds a polished touch to this sectional's wide roll arms, back and luxurious feather down wrapped seat cushions. A removable, cleanable slipcover in a nautral tone lends a casual, worry-free air to this piece. Slipcovers can be special ordered in more colors and fabrics, including stain-resistant and moisture-repellent LiveSmart upholstery. See store for more details.